Have you lost your keys again? Don’t know which key goes to which lock? We’ve all been there. But if you implement some of these key organization ideas, you’ll never have to dig through your purse, the kids’ toy box or the refrigerator (yes, seriously) looking for your keys again. 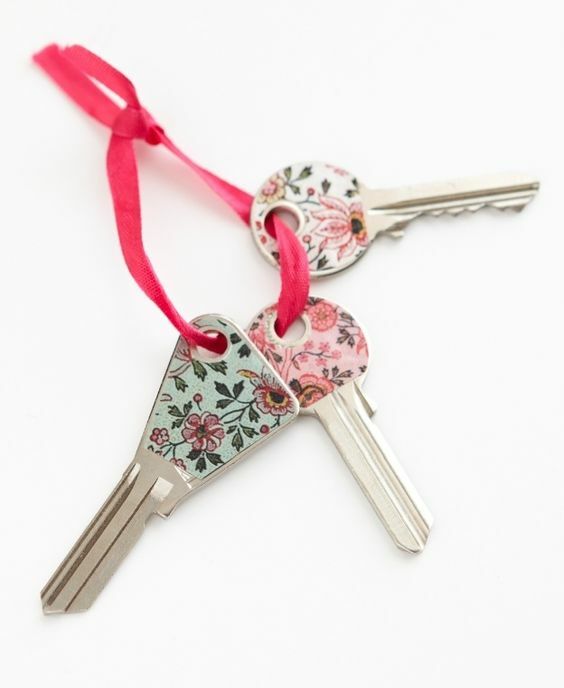 From key holders to key finders and easy way to distinguish keys from each other, you’ll find lots of helpful tips here! 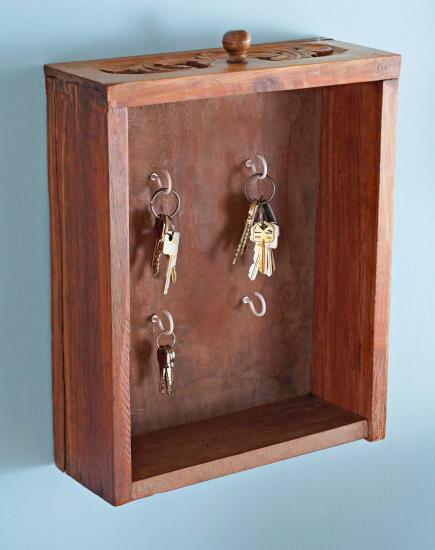 Repurpose an old drawer to create a key storage station. Paint it (or don’t), and then screw cup hooks into the bottom before hanging the drawer on the wall. Want to easily tell one key from another? Code them with washi tape. There are so many fun patterns and colors that even if you have as many rings as a janitor, you’ll easily keep up with them. 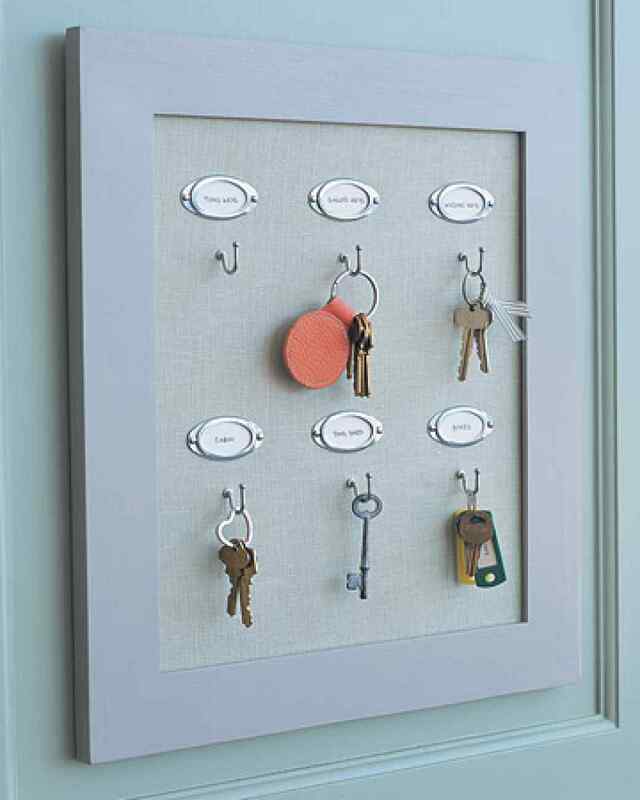 Want a key holder that doesn’t detract from your decor? 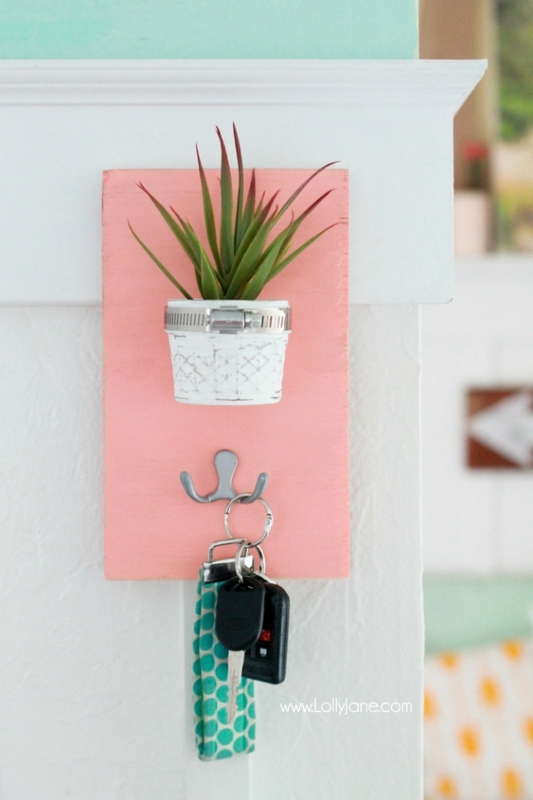 This succulent key holder is gorgeous and easy to make. It adds a nice dose of color and nature to your entryway. Get a key finder! This setup (affiliate) includes 4 key finders, so everyone in your family can have one. 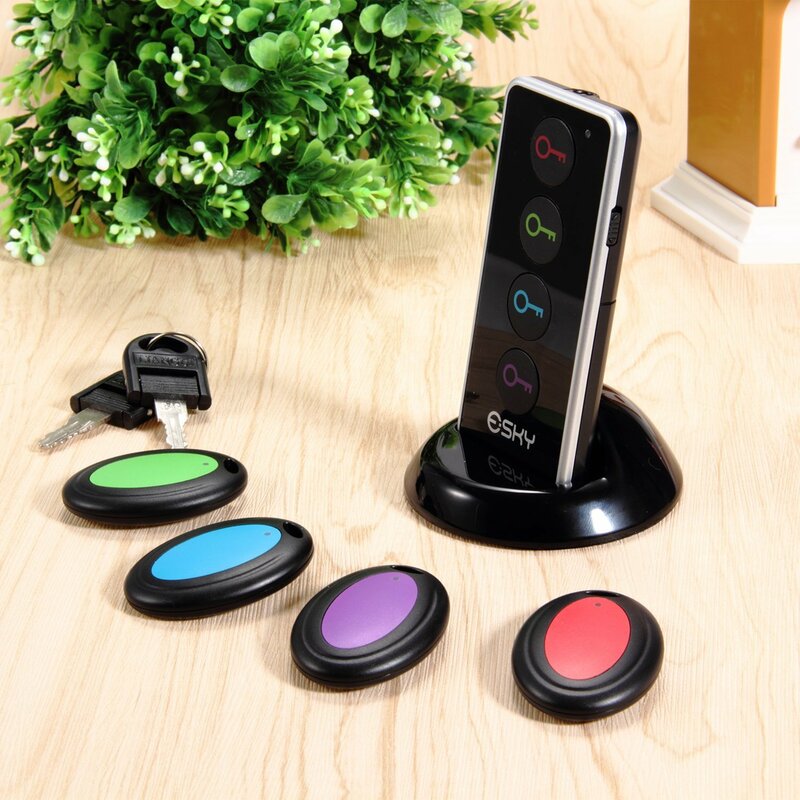 Simply press the color-coded buttons to locate your keys, up to 30 meters away. Design a custom board to fit your space. Give each key (or set of keys) its own labeled area so that way, there’s never any confusion about which set to grab. Do you live with roommates? 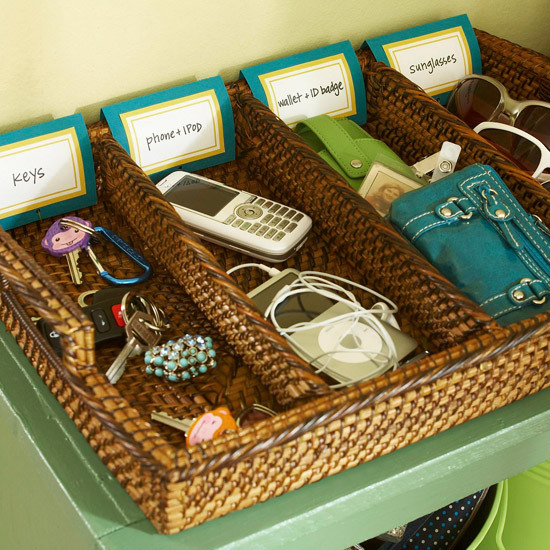 Set a divided basket near the door with everyone’s names to sort keys and electronic devices. 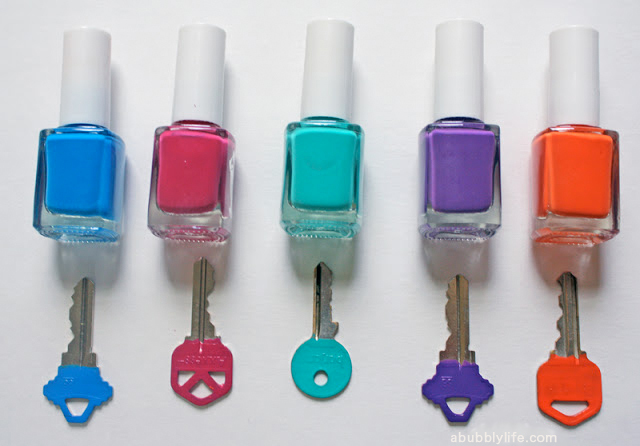 Use nail polish to color code your keys. Simple, but effective! 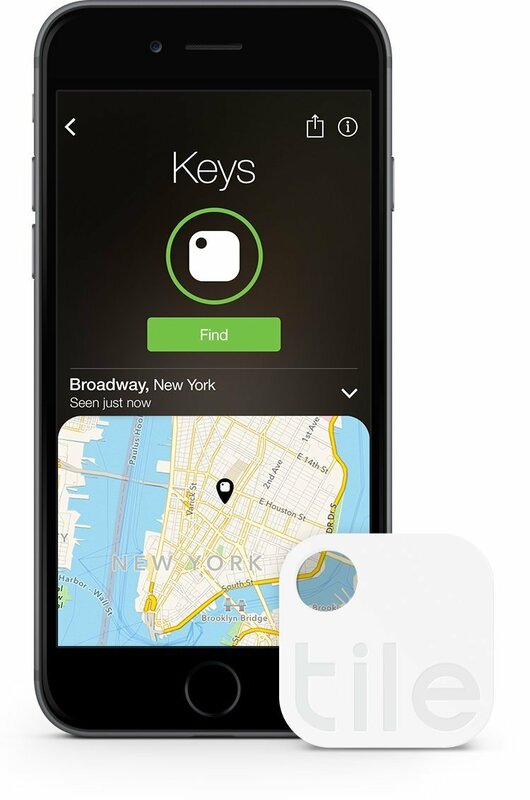 Want to be able to find your keys anywhere? A bluetooth tracker (affiliate) is the answer to your problem! You can attach these trackers to other things, too, such as your backpack, purse or wallet. Of course, key caps are a great option if you don’t mind spending a few buckets. And they’re reusable, too. Get similar key caps here (affiliate). 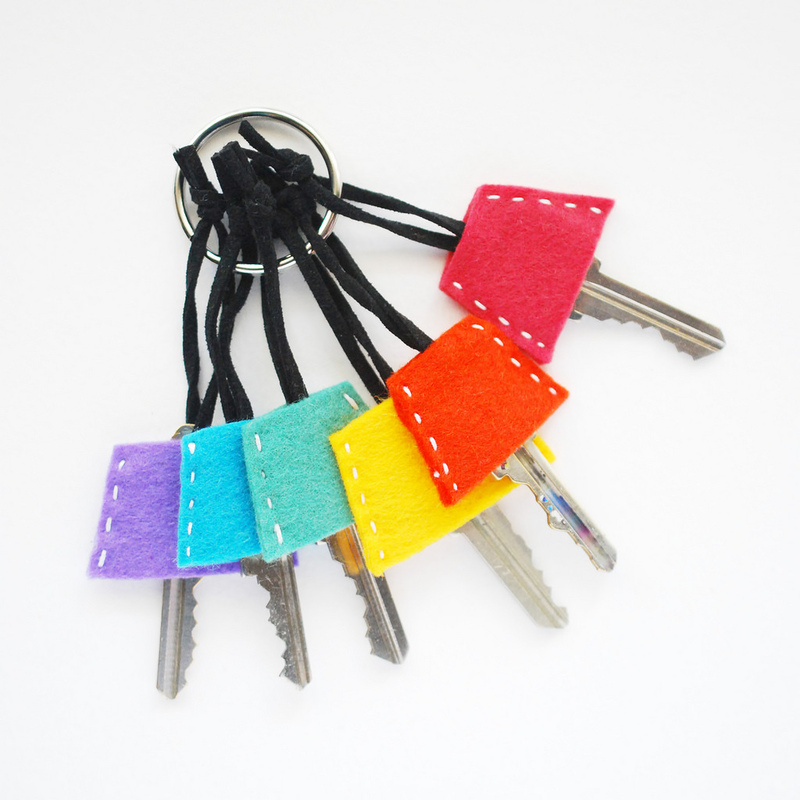 Felt key covers are another gorgeous option! 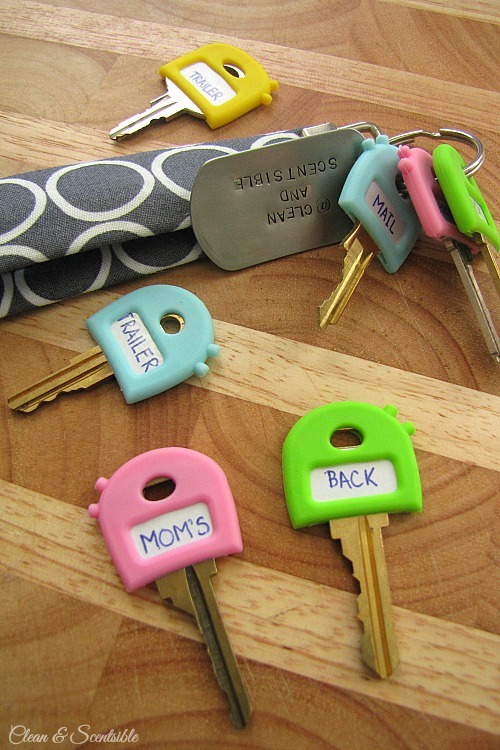 How about a super cool DIY keychain that’s hard to lose? 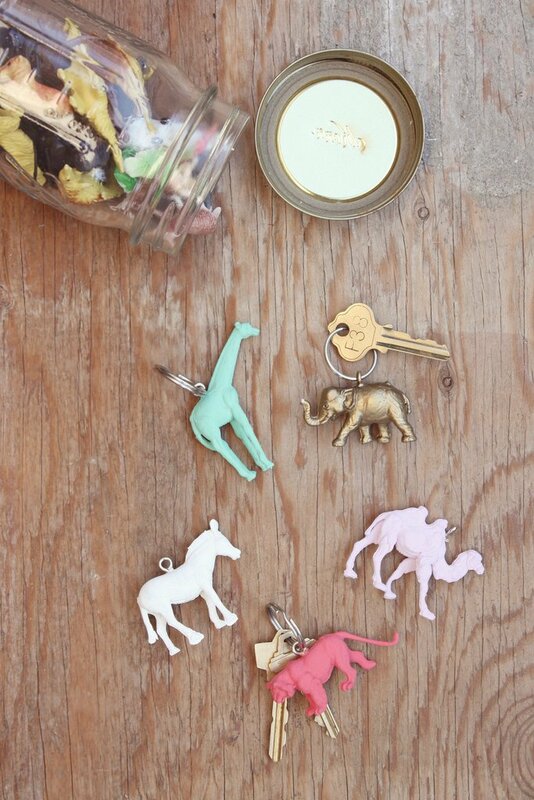 Use some of your kids old animal figurines to make a colorful keychain for yourself. After all, an elephant never forgets (his keys)! 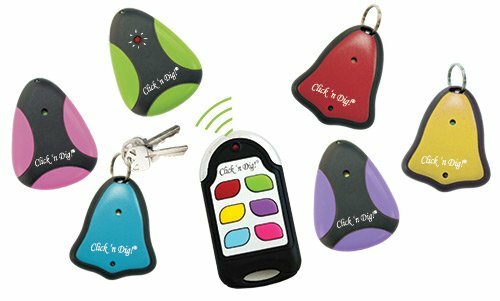 The click n’ dig system (affiliate) comes with six receivers and a color-coded remote to track them all. Its range is 60-80 feet. Make a tennis ball friend to hang by the door. 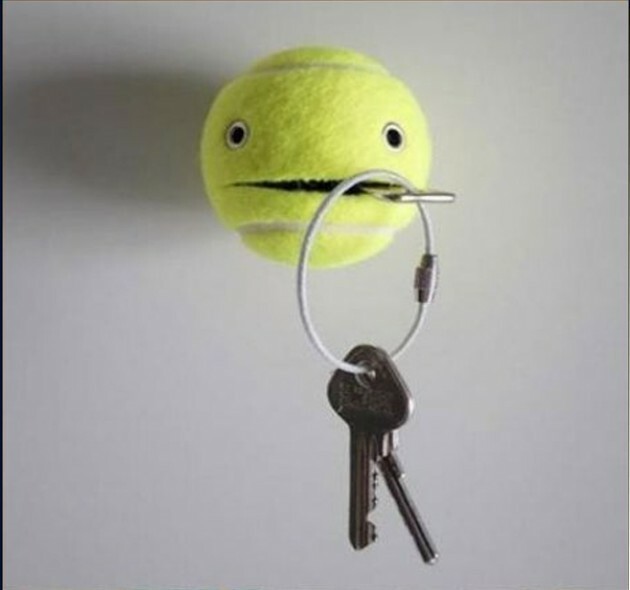 Store your keys in the “mouth”. They’re also great for stashing papers, pens and other things on the fly. 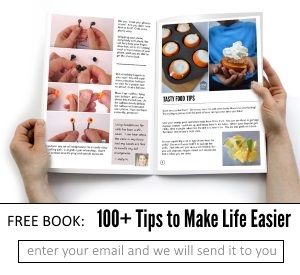 See our video tutorial here! 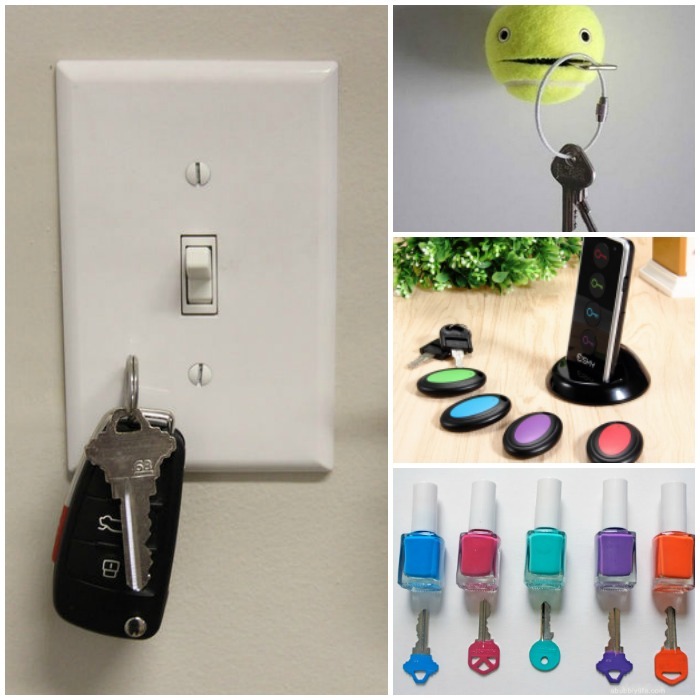 Don’t like the idea of your keys being in plain sight? Here’s a tutorial for hidden key storage. No one will ever suspect that your keys are behind the frame! 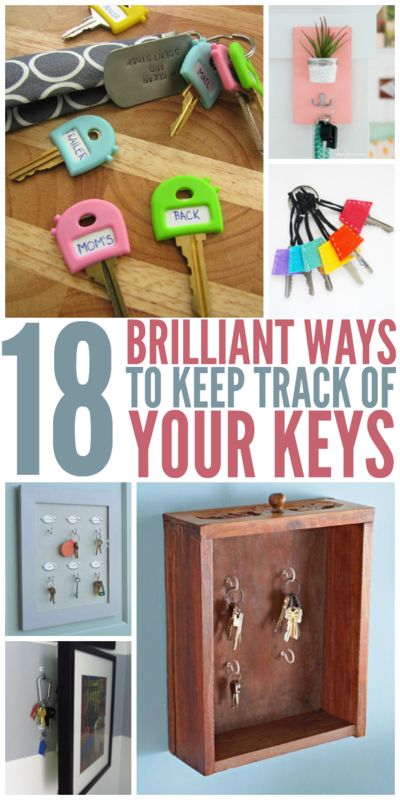 Keep your keys by the light switch in your entryway so you’ll never forget where they are. 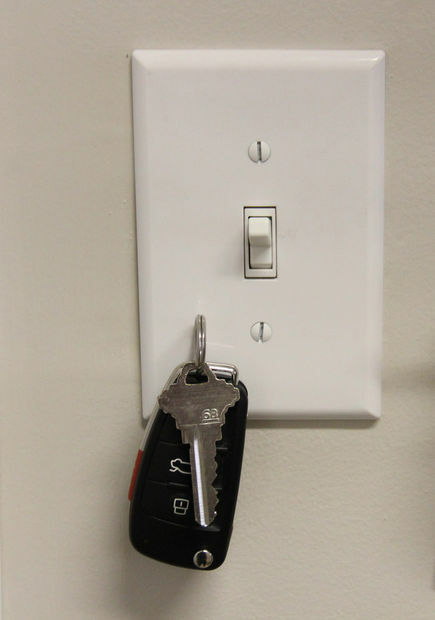 This tutorial shows you how to place a magnet behind the light switch plate to keep your keys in place. 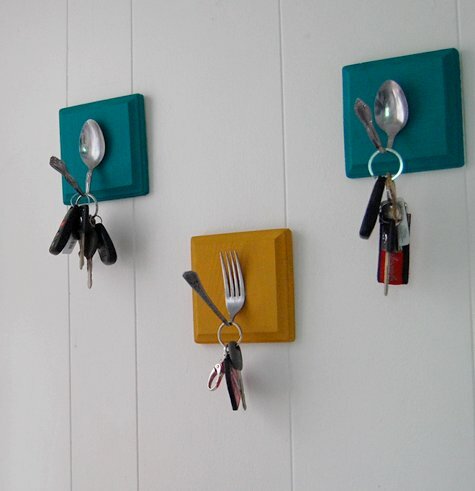 Use old utensils and wooden blocks to create these easy peasy key holders. 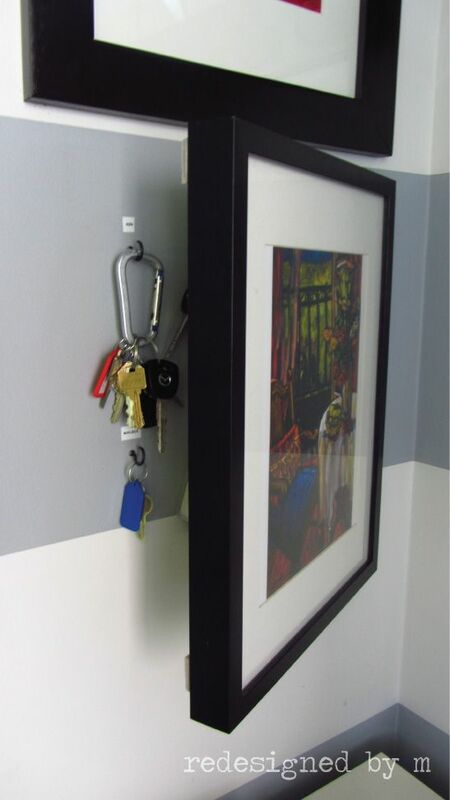 Keep your keys, mail and bags all in one place with a DIY wall mail and key organizer. 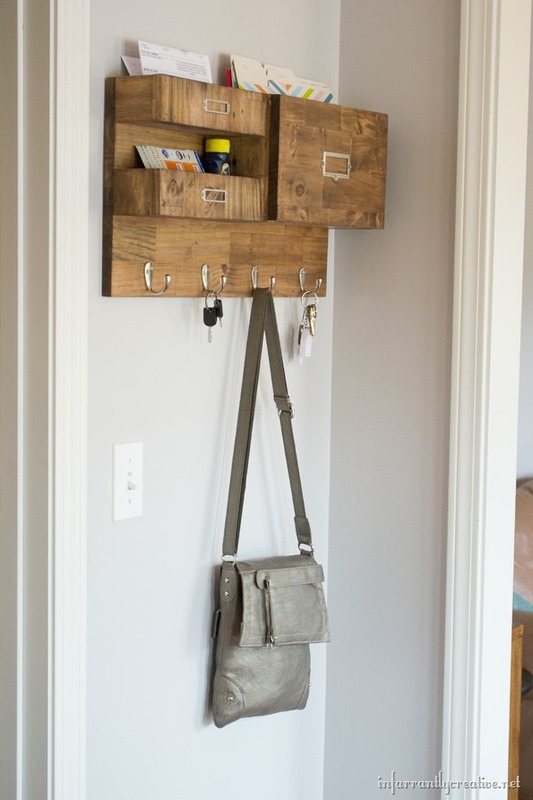 This action station is gorgeous, and it has enough hooks for all your keys, scarves and bags. 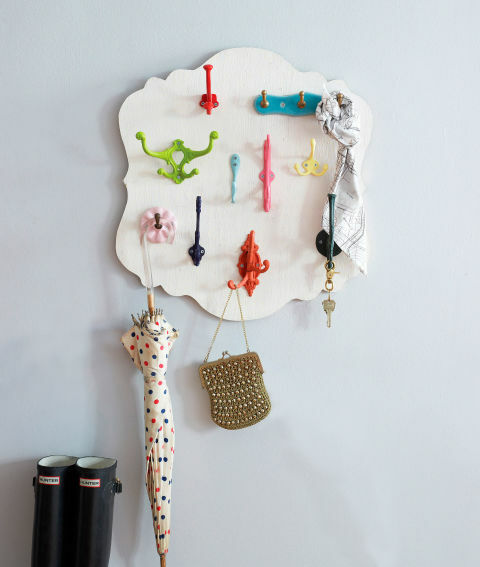 Simply paint a wooden plaque, and screw in all shapes and sizes of painted hooks for a chic (albeit somewhat haphazard) look.